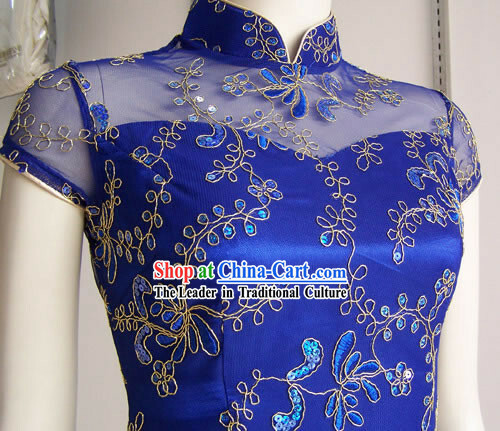 Size: Please specify your size number or the exact size of chest, hip, waist and shoulder. 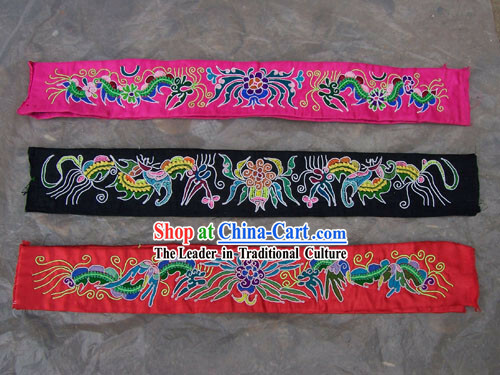 Your height and weight attached will also help us make a perfect cheong-sam for you. 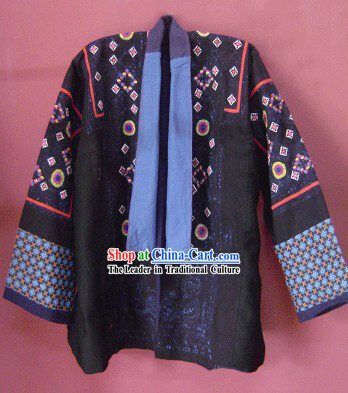 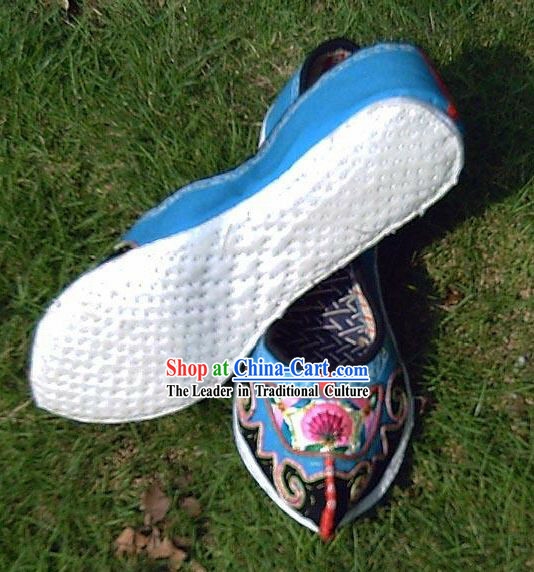 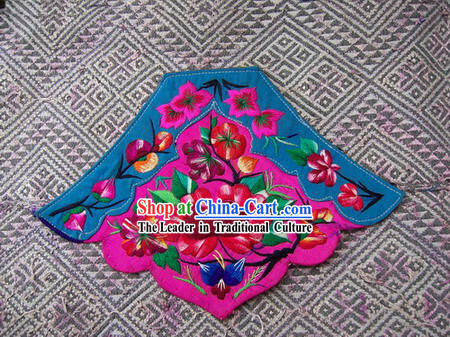 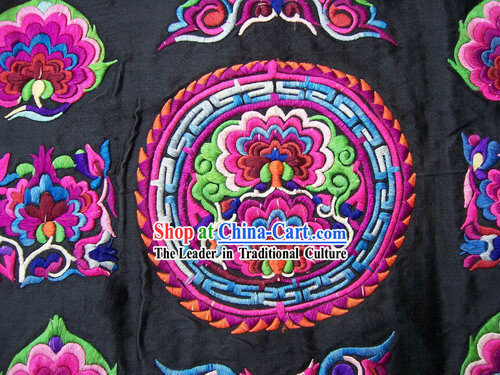 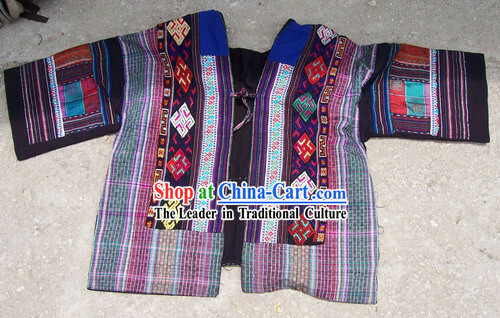 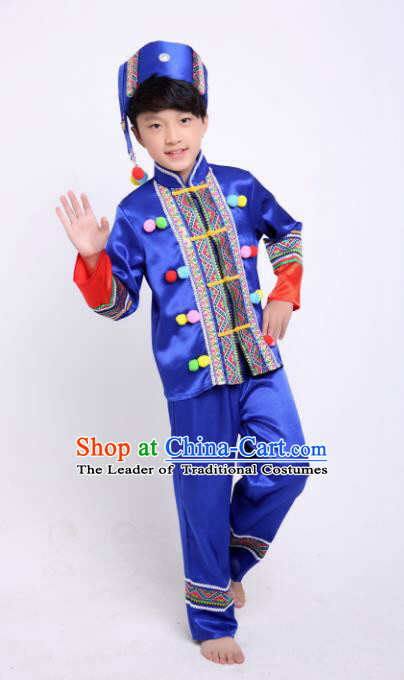 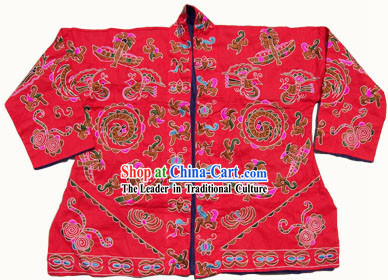 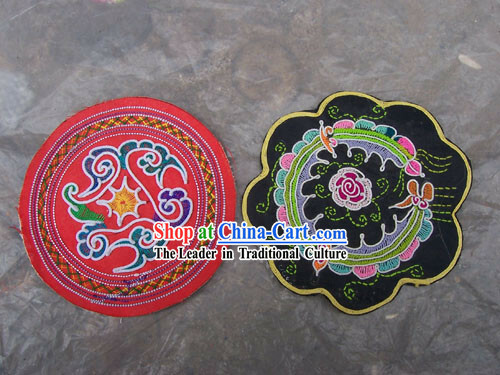 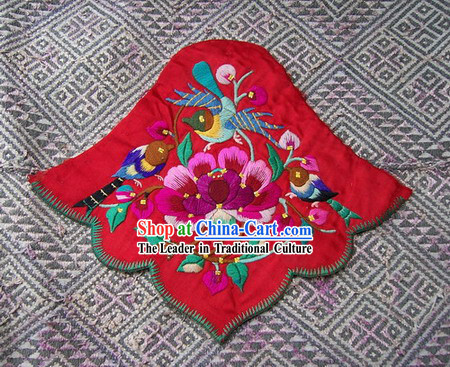 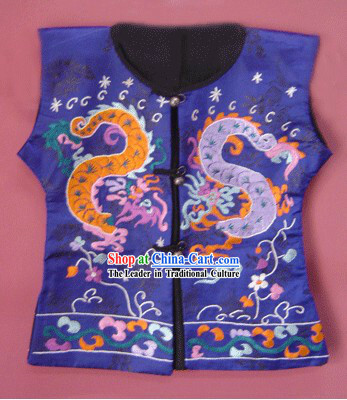 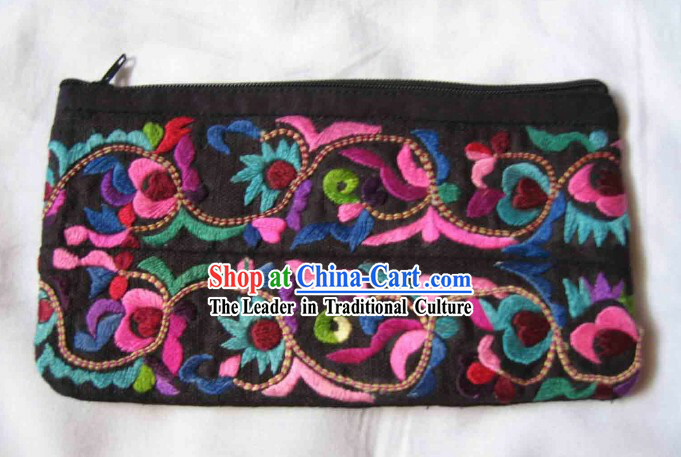 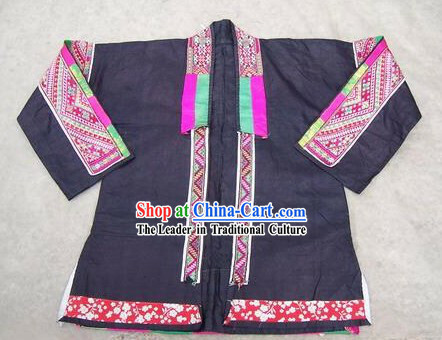 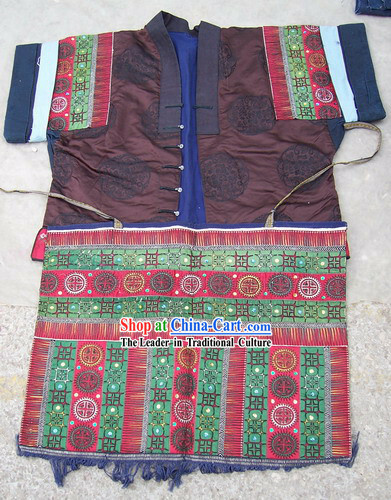 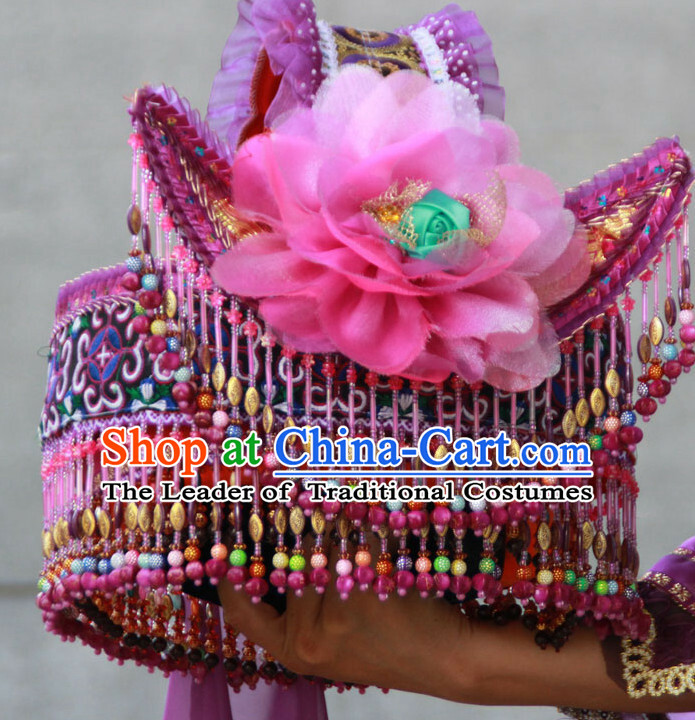 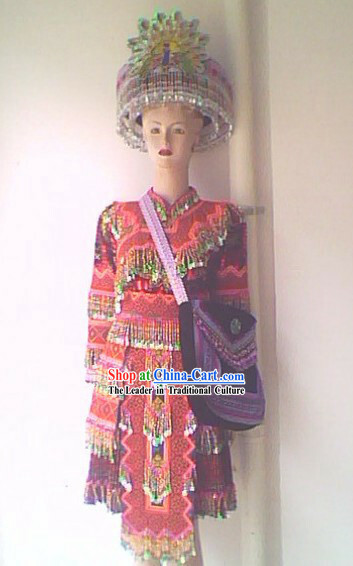 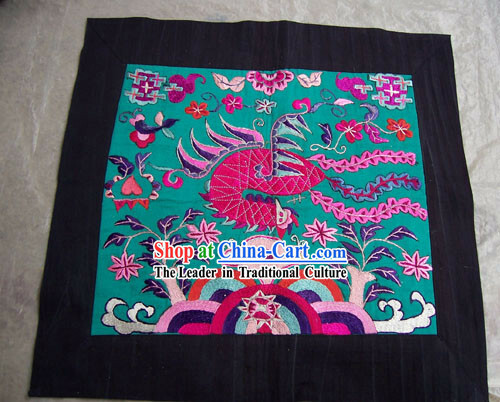 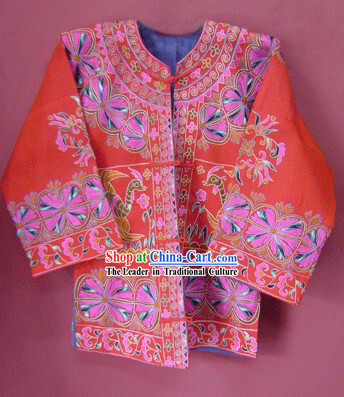 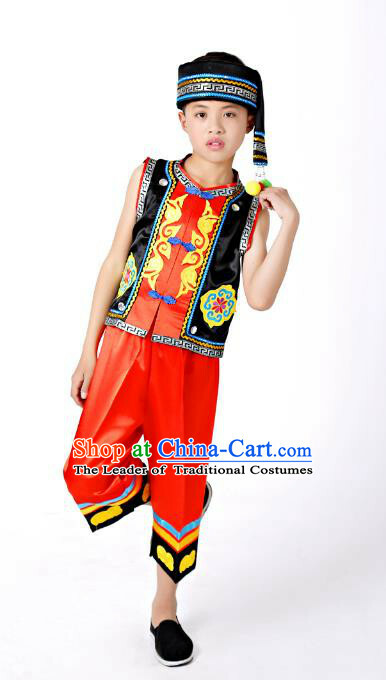 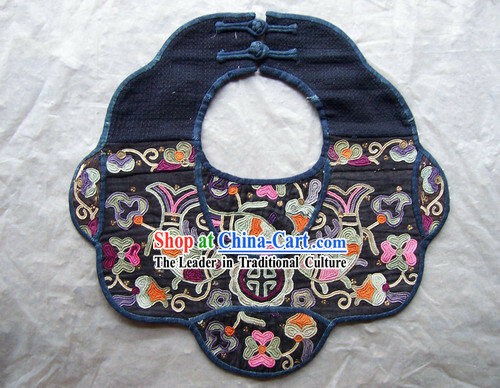 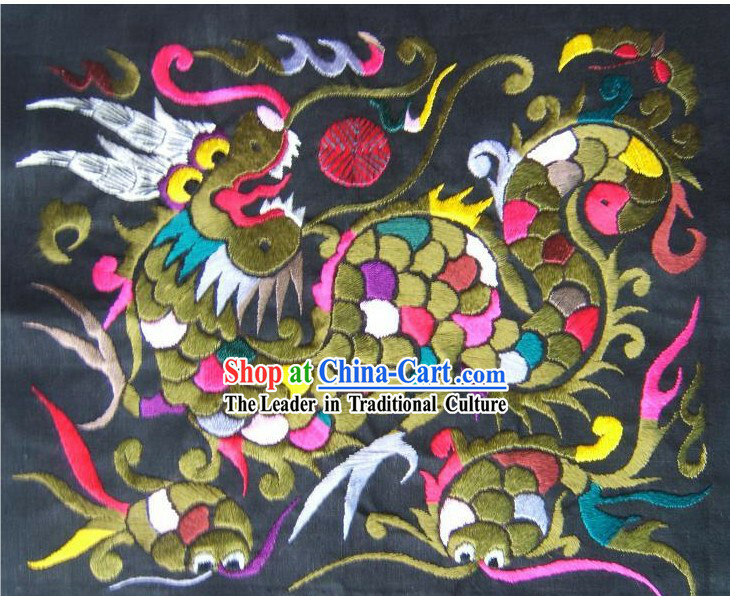 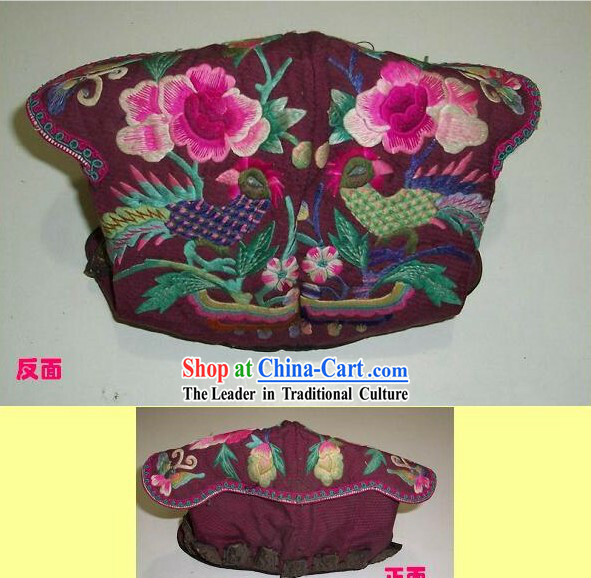 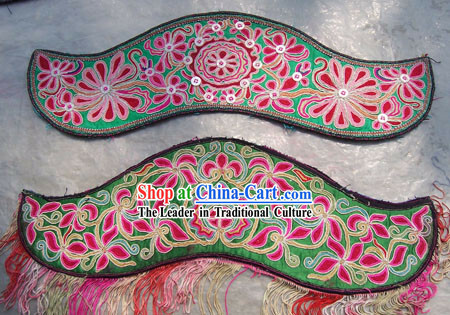 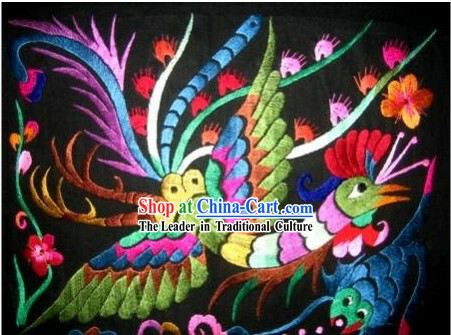 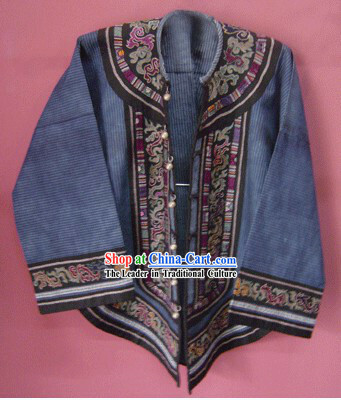 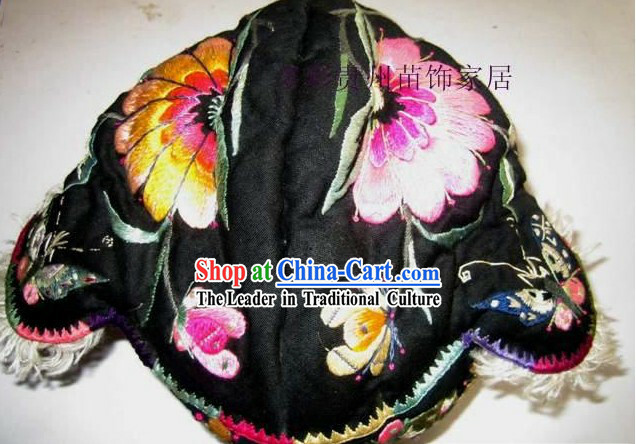 Miao embroidery has high artistic value and enjoys good fame worldwide. 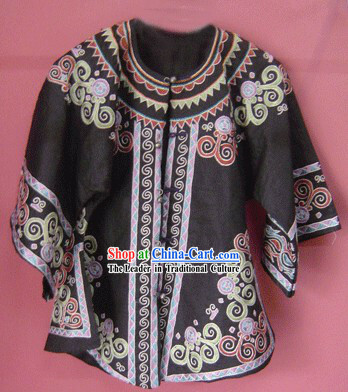 Miao ladies learn batik and embroidery from the age of six or seven and achieve their social status in this fashion. 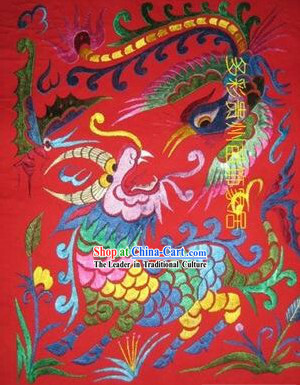 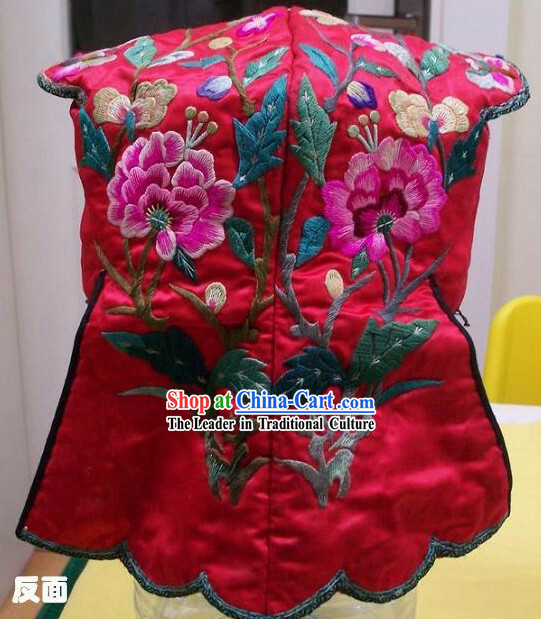 The girl who can embroider special patterns is seen to be hardworking and intelligent, and will become a sought after bride. 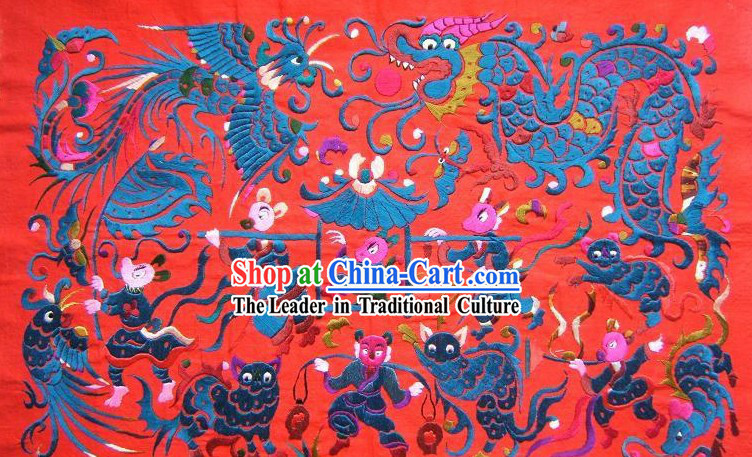 Miao embroidery is rich in colour, and shapes and lines of figures are exaggerated and vividly drawn, making people feel bright, clear and passionate. 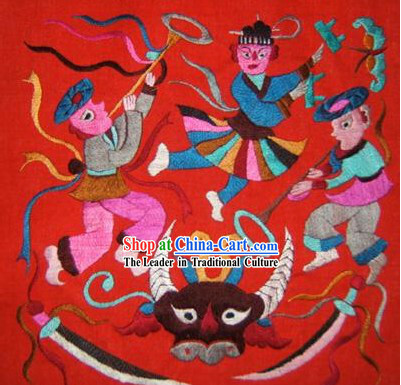 Figures usually come from daily life through images of flowers, birds, worms, and fish. 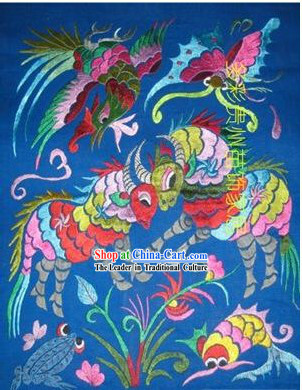 Through artistic abstraction, it is bravely exaggerated and deformed, expressing aesthetic feeling and ideal of creator. 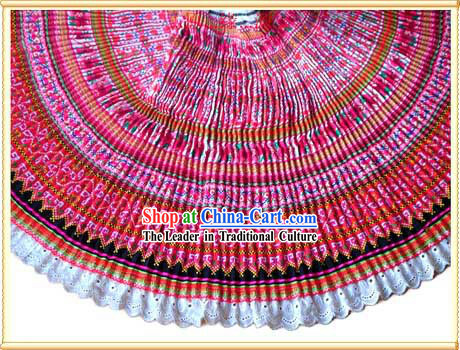 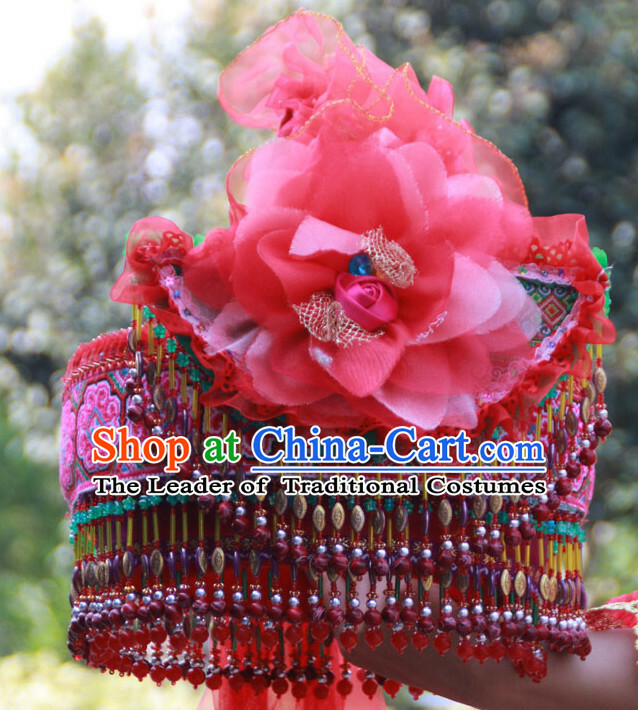 As young Miao ladies are moving to cities, this exquisite handicraft is diminishing. 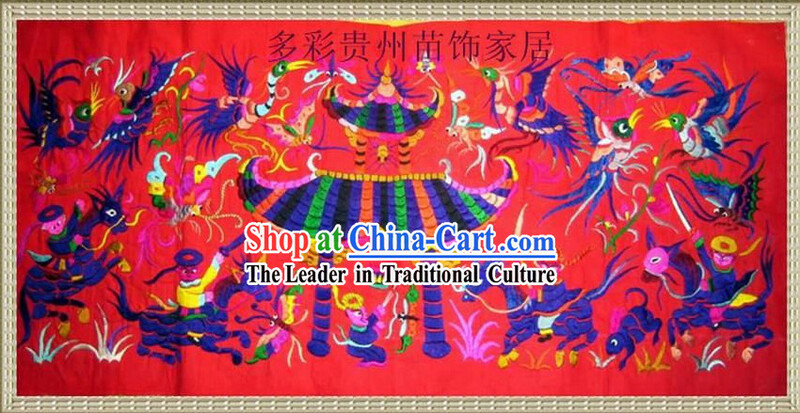 Collectors and museums (including British Museum) are working hard to collect and preserve them, especially those antique pieces.